Violin: my first love ! 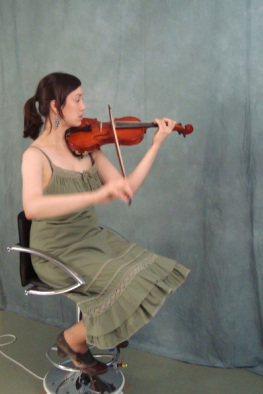 Started lessons at the age of 12 with the Suzuki method with Mrs. Madison. Followed by Francois Barbeau and Anka Grad . Concerto competition winner and Soloist for the West Island Youth Symphonic Orchestra at St Genevieve's church . Solo violinist for Mary of the High Seas Musical Edinburgh Scotland. Violinist for several weddings, events and festivals. I joined Von Dalia's band as their new classical violinist ! 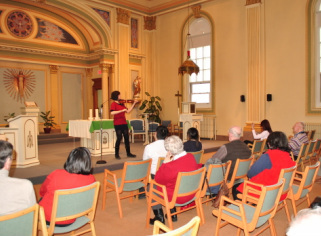 One of the annual violin concerts I give at the Jesuits chapel home in Montreal. 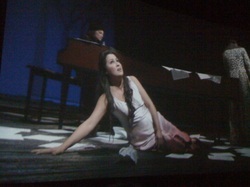 I have been initiated to classical music and piano by my mother Mrs Quee Ying Wong. Herself an accomplished soloist and music teacher. Personally, I have been singing since the moment I became aware my vocal chords ! Phantom of the Opera was my initial inspiration and it still remains close to my heart. ** Recent LIVE performance of Think of Me " in Oahu Honolulu ! and opera lesson with professor Adreane Savoie from the music conservatory in Montreal. I am always up for a good round of kareoke !!! Lady Marmalade, Queen, Eminen and kiroro are my fav's !